Patricia Arquette (born April 8th 1968) Patricia Arquette is TV and film star best known for her role in the series 'Medium' and Richard Linklater's film 'Boyhood'. 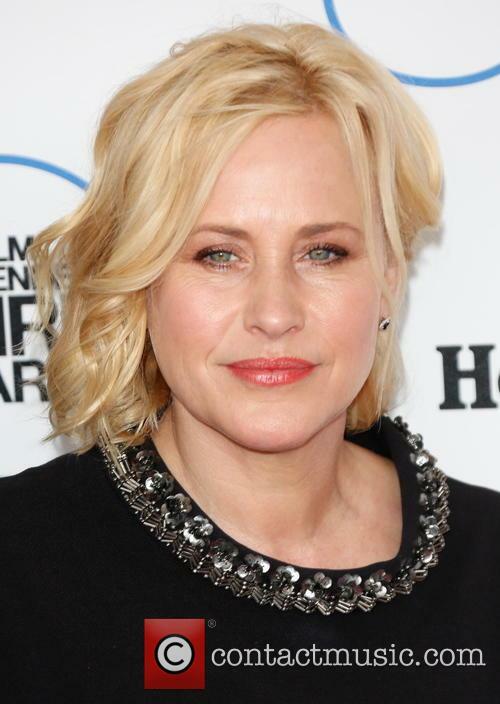 Net worth: Patricia Arquette has a net worth of $24 million according to Celebrity Net Worth (2015). In 1990, she appeared in 'Prayer of the Rollerboys', then followed that up with Sean Penn's 'The Indian Runner', 'Inside Monkey Zetterland', and she won her first award in 'Wildflower' opposite Reese Witherspoon. She played Kathy O'Hara in Tim Burton's 1994 movie 'Ed Wood' alongside Johnny Depp, before starring in 'Beyond Rangoon' the year after. In 1996, she was in 'Flirting with Disaster', before David Lynch enlisted her to appear in his 1997 cult thriller 'Lost Highway'. She also appeared alongside Ewan McGregor in the horror 'Nightwatch'. Her next horror was 1999's controversial box office hit 'Stigmata'. That year she was joined by Nicolas Cage in Martin Scorsese's adaptation of the Joe Connelly novel 'Bringing out the Dead'. In 2000, she starred opposite Adam Sandler in 'Little Nicky', and appeared in the Disney film 'Holes' in 2003 which grossed $71,406,573 worldwide. In 2006, she appeared in Richard Linklater's 'Fast Food Nation', during which time she had a starring role as a psychic in the drama series 'Medium' for which she won two Emmys. She also appeared in 'Boardwalk Empire' as Sally Wheet. 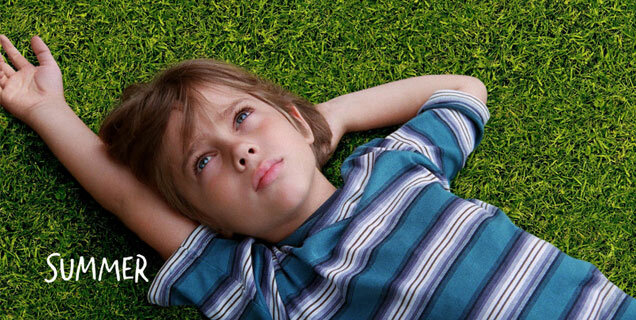 She was re-united with Linklater on 2014's 'Boyhood'. Filmed over 12 years, the movie won her an Oscar for Best Supporting Actress. Personal life: Patricia Arquette was raised in Chicago with her parents Lewis and Brenda. She had her first child, Enzo Rossi, at the age of 20 with Paul Rossi. In 1995, she married Nicolas Cage but they soon separated. The pair continued to feign a relationship in public but they divorced in 2000. 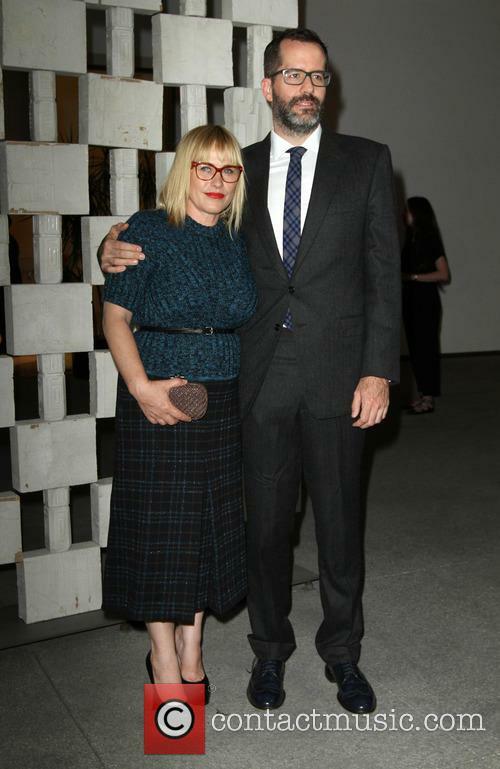 In 2006, she married Thomas Jane with whom she had a daughter, Harlow. They split in 2009 before reconciling, and finally getting a divorce in 2011. 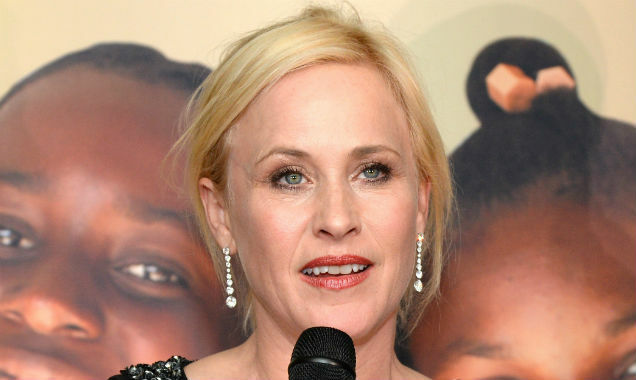 Patricia Arquette will open up on her private and professional life in the forthcoming memoir. Patricia Arquette, the American actress who won an Oscar in March for her stellar performance in Richard Linklater's coming-of-age drama Boyhood, is to write her memoir. Arquette has signed a book deal with Random House. The actress, who is currently starring in CSI: Cyber, says she will document her "unconventional family, being a single mother at the age of 20, and her experience as a woman in Hollywood." Patricia Arquette Will Never Straighten Her Teeth: "I Just Didn't Want To Look Perfect"
The 46-year-old actress recently explained why she has never chosen to get her teeth straightened, despite the pressures of Hollywood. Nearly two weeks has passed since Patricia Arquette won the Best Supporting Actress Oscar for her role in the family drama 'Boyhood,' but her new accolade, along with the pressures of Hollywood, will not evoke a mental or physical change in the 46-year-old actress. In fact, Arquette has known what kind of person she is from an early age, which is one reason why she did not straighten her teeth as a child. The talented actress recently told People, she chose not to do so because "it didn't feel like it would fit who I was inside." Continue reading: Patricia Arquette Will Never Straighten Her Teeth: "I Just Didn't Want To Look Perfect"
The 'Boyhood' actress used her acceptance speech to call for wage equality and equal rights for women, but her comments have split opinions. Patricia Arquette’s Oscars acceptance speech has set the world of social media alight in the last twenty four hours. After she used her time at the microphone to call for wage equality and equal rights for women, opinion has been polarised as to validity of her argument. About Time - Patricia Arquette Wins Supporting Actress Oscar For "Boyhood"
Congratulations to first-time Oscar winner Patricia Arquette! Today in entertainment news: everything is the Oscars. After the show, it's time to discuss the biggest surprises and the biggest winners of the night, starting with Patricia Arquette. The actress won her very first Academy Award last night for her role in Boyhood as a mother struggling to bring up two children. 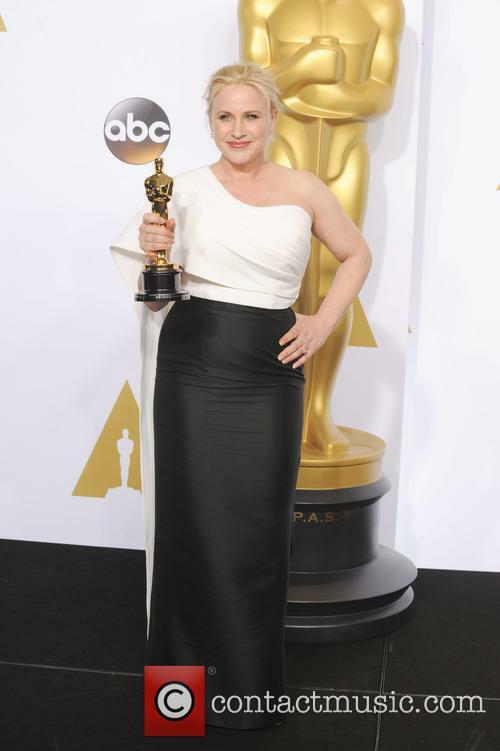 In a not-so-unpredictable twist, Patricia Arquette has won the Oscar for Best Supporting Actress. Arquette has swept through awards season this year, winning everything from a BAFTA to a Critics' Choice, to a Golden Globe and a SAG award for her Supporting role in Boyhood. Now she has an Oscar to add to that impressive collection. Continue reading: About Time - Patricia Arquette Wins Supporting Actress Oscar For "Boyhood"
Patricia Arquette won the Best Supporting Actress gong for her role in 'Boyhood'. Patricia Arquette has won the 2015 Academy Award for Best Supporting Actress. She starred in Richard Linklater’s epic Boyhood, playing the role of Olivia Evans. The 46 year old fended off strong competition from Laura Dern (Bobbi Grey in Wild), Keira Knightley (Joan Clarke in The Imitation Game), Emma Stone (Sam Thomson in Birdman) and Meryl Streep (‘The Witch’ in Into The Woods). Fifty Shadows of Grey held its world premiere at the Berlin Film Festival, attended by stars Jamie Dornan and Dakota Johnson, as well as director Sam Taylor-Johnson and her actor-husband Aaron, plus novelist E.L. James. There have been virtually no press screenings prior to the film's release this weekend. The SAG awards pave the way for the Oscars next month. OK, so who’s nominated for the SAG Awards, happening tonight? The SAG ceremony is always more anticipated for the fashion and red carpet photos, rather than the actual show, but the winners list tends to be a good indicator for the Oscars later on. So, who’s on the list this year? Michael Keaton is among the leading nominees for the SAG awards this year. 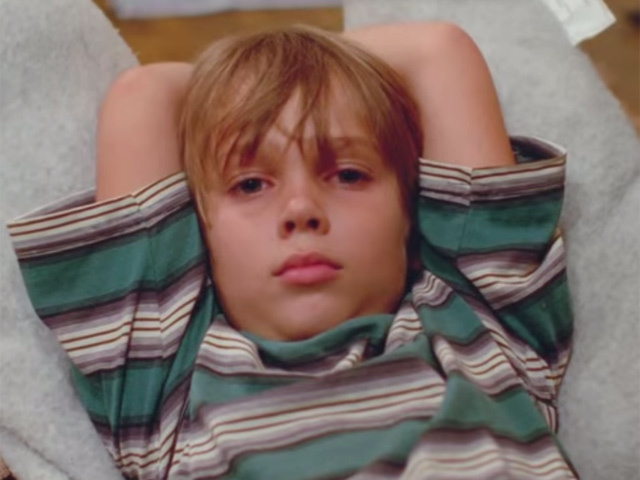 Boyhood and Birdman will go head to head in the best picture race, since the SAG awards don’t have separate genre categories. 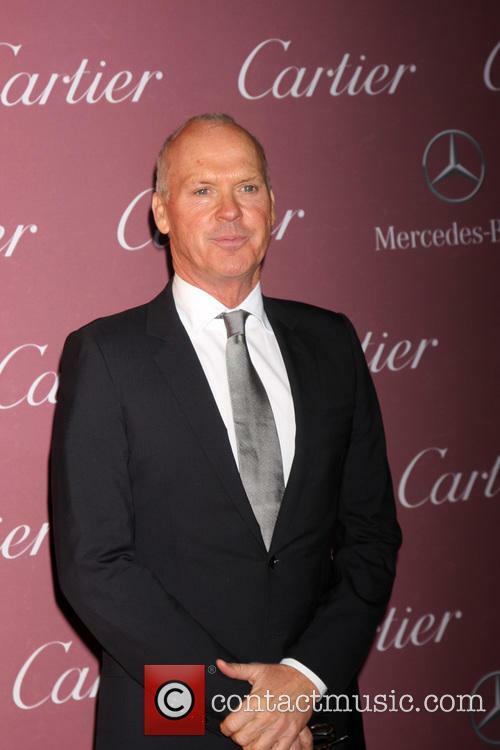 Michael Keaton, who stars in Birdman is a clear favourite this season for the honor, having scored wins for best actor in a comedy at the Golden Globes and for best actor at the Critics' Choice Awards, while Patricia Arquette won for best supporting actress in a drama at both shows, with Ellar Coltrane picking up best young actor awards at the Critics' Choice. Birdman won best acting ensemble at the Critics' Choice. With the race to the Oscars well and truly on, it looks as if Richard Linklater may have to clear more mantlepiece space. 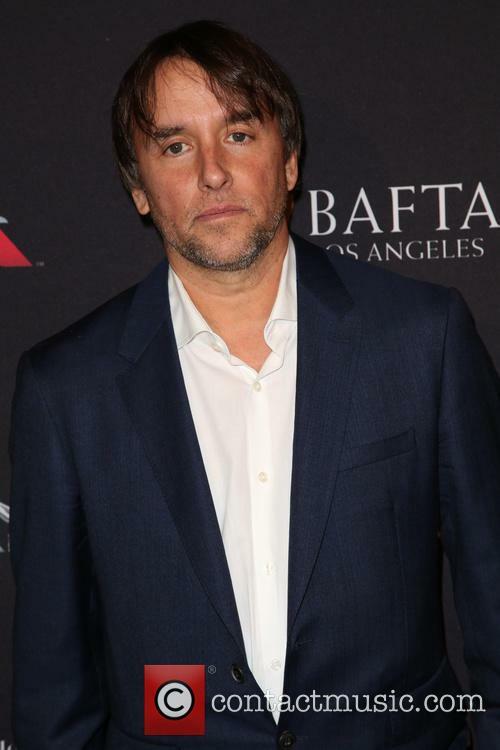 Boyhood, Richard Linklater’s 12 years in the making drama, has once again taken home big award season honours, this time at the Critics Choice Awards. 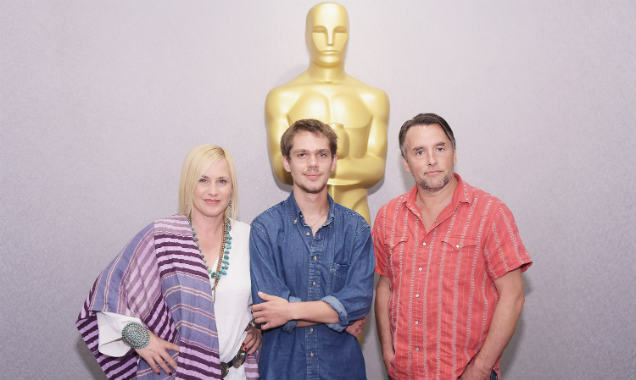 The film was named Best Picture, while Linklater was honoured with the Best Director award and star Patricia Arquette was named Best Supporting Actress. But the big winner of the evening was Alejandro G. Inarritu’s Birdman, which ended the night with seven trophies including a Best Actor nod for Michael Keaton. 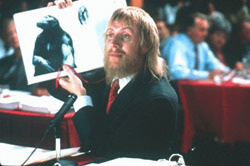 The movie’s entire cast were also honoured, taking the Best Acting Ensemble award. 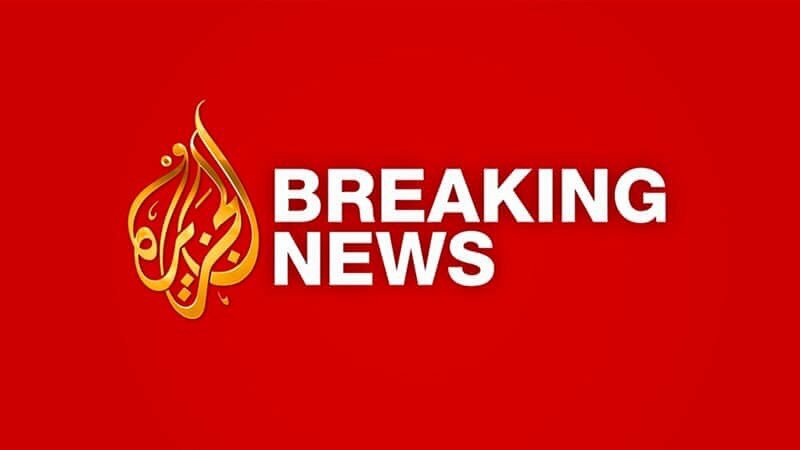 @AJEnglish Oh my God. This is horrific. @JustCarol___ You read it Russian boot licker. @TheBradBlog @jennycohn1 @DHS No one has. @KevanBrown69 @67jewelCDH Challenge that crap about a sitting President. @faesq3639 @67jewelCDH And Putin needs to be put in check. @NBCNews Reassigned? Reassigned? That’s awful.